Location Location Location.... 15 Mins to Gadsden, Centre, Piedmont or Jacksonville. Immaculate 3 BR 2 Bath on 2.6 Acres. Home has been completely renovated and ready to move into. Nice large kitchen with plenty of cabinets. Large Living/Family room with wood burning fireplace. Nice Master Bedroom with french doors leading to back porch/deck overlooking your very own private stocked pond. Large Master Bathroom with His & Her closets. 2 Car garage with large storage room or small work area. Laundry room is big enough to serve as a mudroom as well. Outside you will find a large 16x16 room under the home with concrete floor that was used as a workshop & storm shelter. Invite your family & friends to grill on the built in grill located in the picnic pavilion that even has a half bath. 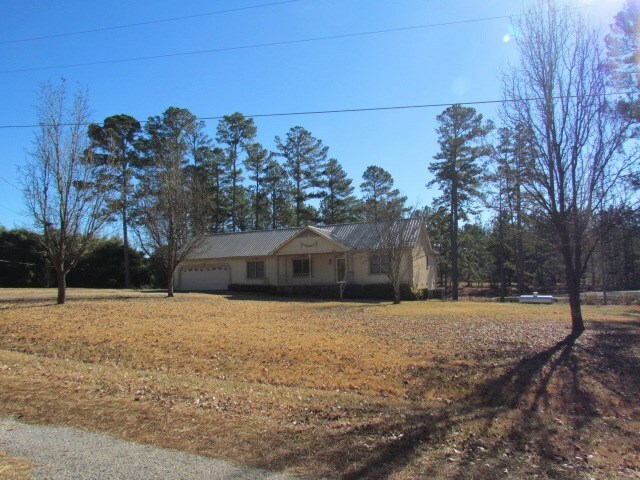 Home is located in a very quiet area on a dead end street in the Hokes Bluff School district.